Yehah! 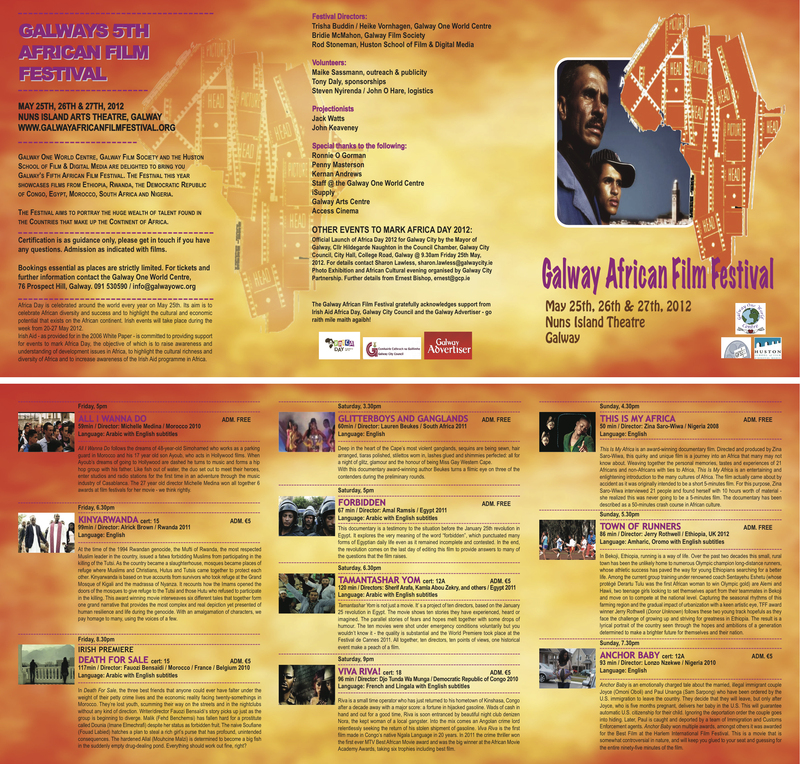 All films and times have been confirmed for the Galway African Film Festival 2012! For details please visit the GAFF 2012 page or download our brochure.